As we cruised along the Stuart Highway through the centre of Australia, outback roadhouses were our oases of food, fuel and accommodation. The distances between them are several hundred kilometres. Suffice it to say, the kids were in bliss at every stop. 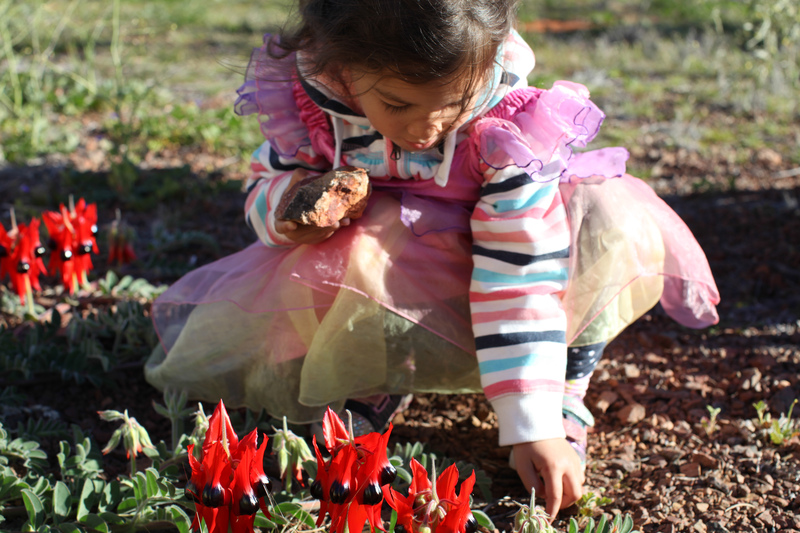 There wasn’t much more than dirt to play with here in Glendambo, though we did find a patch of Desert Peas on a walk around the two-street town. I understand Chris – I’ve applied for one of those before! If you’re aiming for Darwin, there’s an item waiting for you, Sonia, at Poste Restante GPO Darwin, 48 Cavenagh Street, Darwin, until 20 September (tomorrow week), then it will be sent back to West Footscray!